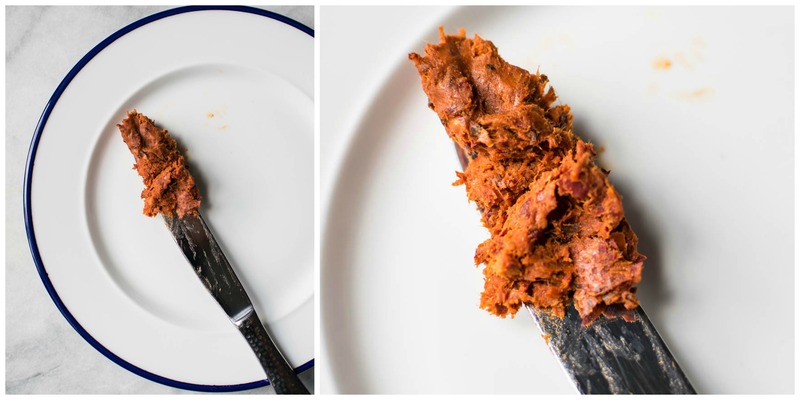 Before we get into the recipe, I want to just quickly go over what ‘nduja is. 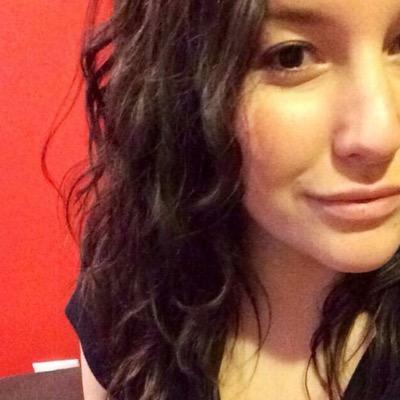 I’m getting this out of the way before you scroll down to the next photos and get turned off by the consistency. ‘Nduja is a spicy, spreadable pork from Italy and it is incredibly delicious! If you like salami, Italian sausage, any kind of cured meat, pâté or are just a human who eats meat, you’re going to love it. 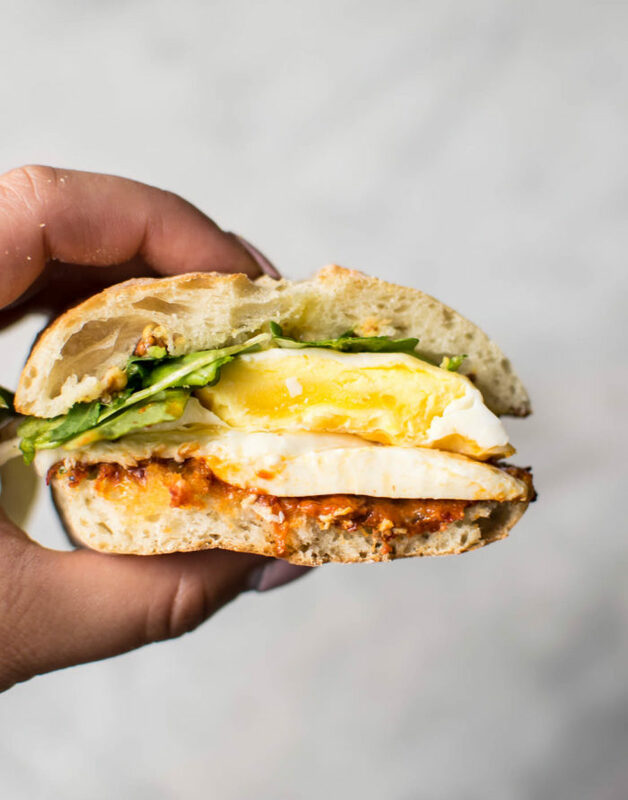 So here’s the super easy recipe for my new favorite way to consume ‘nduja: Breakfast Sandwiches! As you can see by the photos above, it’s literally spreadable meat. Meat paste, if you will. 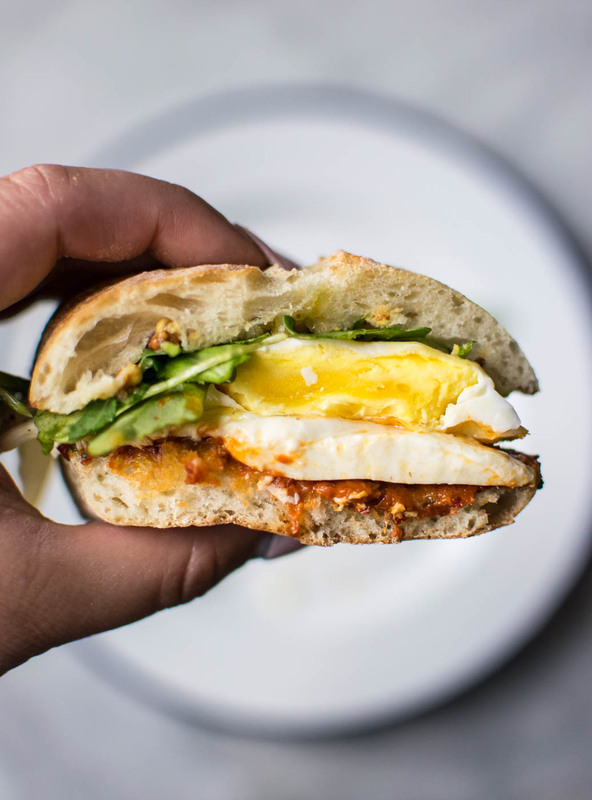 This makes it perfect for these breakfast sandwiches because it sticks to the bread really well so you’ll get some ‘nduja in each bite! You know how when you’re eating a breakfast sandwich and you take a bite, the whole piece of bacon comes out? Yeah, that won’t happen with this stuff. Then there’s the egg. You can’t have a breakfast sandwich without an egg, amiright? I chose to do a fried egg but you can do scrambled if you want! I’ve done over easy, over medium and somewhere in between (shown in photos) and they always turn out delish, no matter what you choose! I have to say, if I had to choose one way to make the eggs, I’d probably choose over easy because then you get that oh-so-yummy drippy yolk. For the bread, a warm, toasty ciabatta roll is the way to go. Period. I chose a grain mustard this time but Dijon works really well too! And, of course, arugula. I just love how well arugula goes with eggs so naturally, it was my first choice for this recipe. The only actual work you’re going to have to do (if you can call it work) for these sandwiches is toast some bread and fry some eggs. I wasn’t lying when I said they were super easy! If you make these tasty breakfast sammies, snap a photo and tag #CarolynsCooking on Instagram so I can see! I hope you love them! Fry the eggs in olive oil and season with salt and pepper. Swipe the 'Nduja on the bottom half of each roll and mustard on the top. 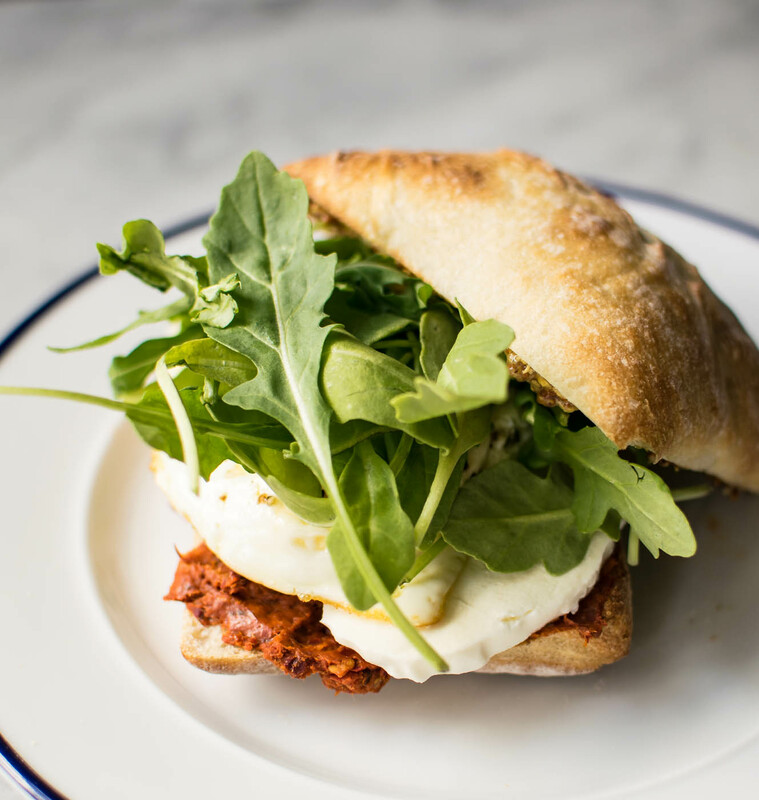 Layer the fresh mozzarella on top of the 'nduja, then the egg, then the arugula and top with the other half of the roll.